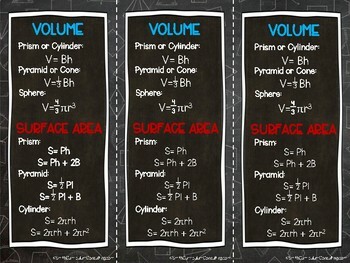 Volume and Surface Area are some of the more difficult areas for students when it comes to using formulas. 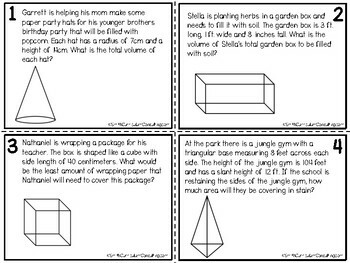 The difficulty isn't from not understanding how to plug numbers into the equations but more down to the multiplication of the numbers. 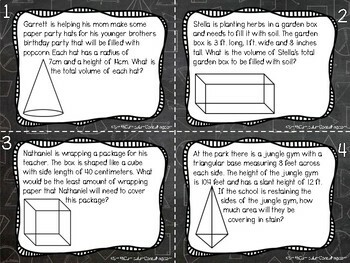 This set of task cards can help students implement real-life volume and real-life surface area to make students learning engaging and fun! 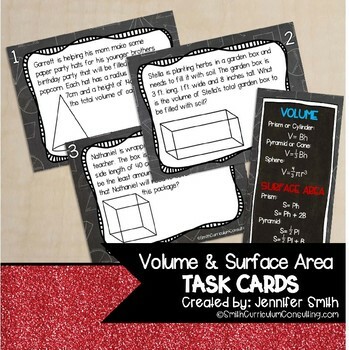 This is a great product to use to review Volume and Surface Area, provides differentiation by having half of the task cards representing volume of various shapes and half of the task cards representing surface area of various shapes.